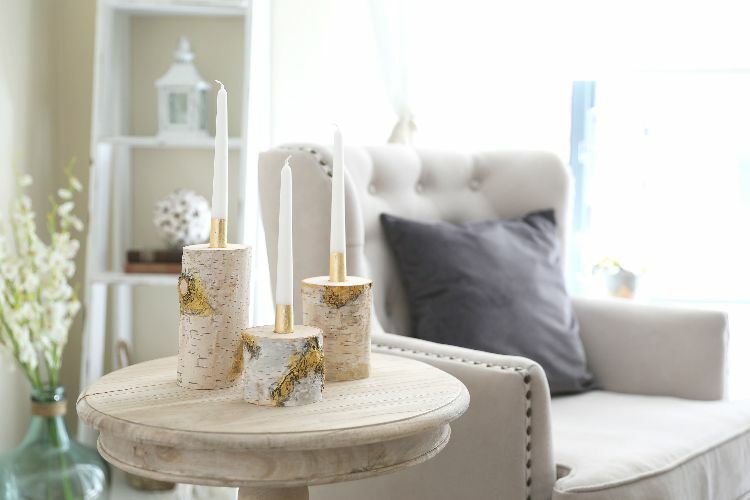 I love almost all nature-inspired decor, but these birch branch candle holders are really something special. They'd be especially nice at Christmas but could be a beautiful addition to your decor no matter what the time of year. You'd spend a pretty penny on these at the store, but if you're making them yourself, they cost next to nothing. That's a good thing because you're probably going to want to make more than a few. Check out the video and the instructions to see how it's done. 1. Secure the piece of birch to the work surface with two clamps to ensure it won't move. 2. 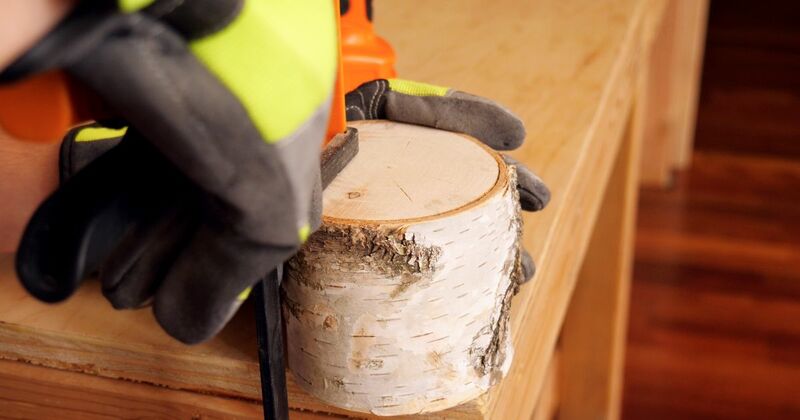 Drill a hole in the center of the branch about an inch deep and clean off the sawdust. 3. Decorate the outside of the birch piece with gold paint, painting over any imperfections in the bark. 4. Place a candle in the hole.